"I got my iPhone XS Max, 64GB, Silver, today, from UPS via T-Mobile and just got it out the box, tried turning it on using the power button on the Right side of the phone and won't turn on." Well! If you have a problem similar to that mentioned above, then you must be in a shock as what has went wrong? How come a brand new device iPhone XS won't turn on. There are numerous reasons why your iPhone XS is not turning on and the major constraints in that matter are either some software or hardware glitches. For instance, your device may have been exposed to liquid damage somehow or your device hasn't been charged enough or the iPhone got unresponsive etc. Let's understand more in this regard. If the case is about power drained out of your iPhone XS/XS Max then try putting it on charge by connecting to a power source. Make sure to plug in the genuine Apple adapter to charge your iPhone so that it charges properly. Once the iPhone gets properly charged, at least 50% battery is there try to turn it on. Step 1. Instantly tap and release the 'Volume Up' button and then repeat the same for the 'Volume Down' button. Step 2. Now, hold down the 'Sleep/Wake' button on your iPhone XS/XS Max for no less than 5 seconds. Step 3. You can let go the 'Sleep/Wake' button as soon as the Apple logo glows on screen. 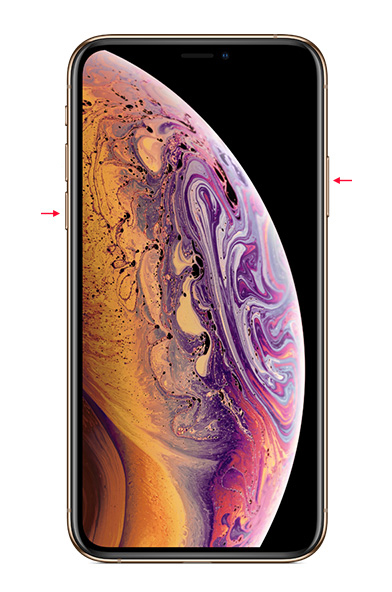 This solution brings you an ultimate way to fix the iPhone XS is not turning on issue without causing any data loss. Tenorshare ReiBoot helps you fix any iOS related issue by repairing and updating the iOS firmware of your device. The 'Repair Operating System' feature can effortlessly take care of iPhone XS is not turning on problem along with other 50+ iOS issues. Whether it's a black screen, frozen screen, blue screen, or Apple logo, Tenorshare ReiBoot can get the iPhone back in action. This tool can enter or exit 'Recovery Mode' for free in a single click. 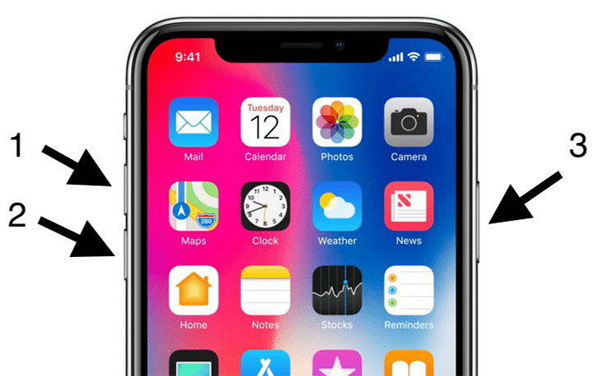 It is compatible with the latest iOS and iPhone models like iPhone XS/XS Max/XR. Here is how to fix your iPhone XS is not turning on problem using Tenorshare ReiBoot. Step 1:	From the official website web site of Tenorshare ReiBoot, download the software and install it. Once the installation process is over, launch the program and get your iPhone connected to the computer through a lightning cable. On the ReiBoot window, click on the 'Repair Operating System (Fix All iOS Stuck)' option afterwards. Step 2:	Click the 'Start Repair' button and hit the 'Download' button on the following screen. Wait until the iOS firmware gets downloaded. Step 3:	You need to tap on 'Start Repair' again from the next screen. The repairing will now be initiated, wait a while and your iPhone XS/XS Max will get fixed and turned on. Step 1:	Get your iPhone XS/Max connected to a computer through a lightning cable. Launch iTunes in the computer. Step 2: Quickly tap the 'Volume Up' button on your iPhone. Step 3: Now, quickly do the same with the 'Volume Down' button. Step 4: Press and hold the 'Sleep/Wake' button now and let the iPhone screen turn pure black. Step 5: Now, hold the 'Volume Down' and 'Sleep/Wake' buttons together for 5 seconds. Lift your finger from the 'Sleep/Wake' button but continue holding the 'Volume Down' button for another 10 seconds. Step 6: If you've successfully entered your iPhone XS/XS Max in DFU mode, 'iTunes has detected iPhone in recovery mode' message will now flash up your PC screen but your device screen will remain black. Step 7:	Hit on 'Restore iPhone' button on iTunes and confirm your actions. In case after every attempt we have listed above went futile, there is possibility of a physical or liquid damage that resulted in iPhone XS is not turning on. Accidentally if you have spilled water or any beverage over the device or dropped it, there might be chances of internal physical damage to the iPhone. It might be possible that the display has gone and showing you no sign of the device being turned on. Make sure that nothing of that sort has been ignored from your eyes. Well! As a last resort if everything else failed and you don't have any physical damage to the iPhone XS/XS Max, then you surely don't need to delay a bit. Immediately get in touch with the nearest Apple Store. Explain them your situation and ask them for help. It would be best to carry the warranty card, bill and stuff. It can be possible that after verifying your iPhone they might fix it for free, if it meets the T&C and is within warranty. Moving towards the end of the discussion, we hope you're able to turn on your iDevice and have successfully put an end to iPhone XS/XS Max is not turning on issue. You can also use ReiBoot to fix many other iPhone XS issues such as iPhone XS not charging, recovery mode stuck, frozen.